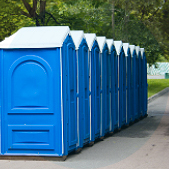 Portable toilets are essential for outdoor events such as weddings, birthdays, concerts, and more. They help ensure the comfort of guests and staff members. 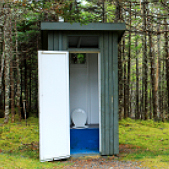 Portable restrooms are the perfect solution as they are more cost-effective than building a permanent restroom, and are also far easier to install. They can also be easily removed once the event is over. Looking for a custom solution ? We offer customized portable toilets crafted specially to fit your needs. Our portable restrooms are durable, easy to operate, and maintain and can be designed according to your liking and requirement. 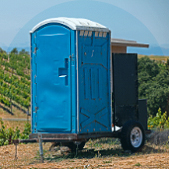 Standard portable toilets are lifesavers for high-traffic outdoor events & private services such as weddings, birthday parties, music festivals, and more. Standard portable toilets are a cost-effective way of ensuring hygiene at the event as well as the comfort and wellbeing of guests and staff members. 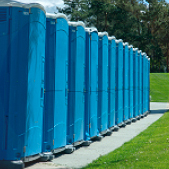 Installing Standard Portable Toilets will help you organize a successful and enjoyable event. 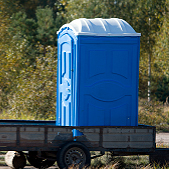 Installing a portable toilet with a flush system for events is likely to go on for a long time. These toilets will ensure the highest standards of hygiene and cleanliness within the premises, for a very long period of time. Make your VIP guests comfortable and their welfare is taken care of by installing a VIP restroom trailer within the event venue. This trailer will not only provide them with the amenities of a typical toilet but will also allow them to maintain their personal hygiene and other needs in a spacious, comfortable, and private environment. 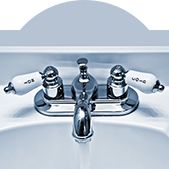 A two-sided handwash sink is ideal for parties and events as it can be used by more than one person at the same time. It is the ideal product for providing portable sanitation options for an outdoor event or celebration with a large number of people. AA major issue that differently abled people face while attending events and parties is with toilets. Most of the portable toilets installed at the venue are not wheelchair friendly or designed to be accessed by differently abled individuals. This problem can be solved by installing a wheelchair-friendly portable toilet within the premises, to ensure the comfort of the differently abled, who might be attending the celebration. If you want to organize a perfect outdoor event and spare no expense in making your guests comfortable, then you should consider installing portable hot and cold sinks within the premises. This will ensure that all the guests are happy and contented, as they will be able to use the water that best suits their needs without having to compromise. Executive restroom trailers are ideal for outdoor weddings and black-tie events. They provide the highest standards of hygiene, cleanliness, and comfort, in a spacious and private environment. If you are planning to host an outdoor corporate event, then you should definitely consider renting some of these trailers. Why Choose 5 Star Site Services? All of our products are manufactured using the best-in-class material and cutting edge technology. 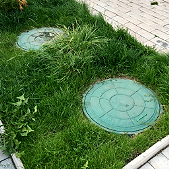 Hence, they are durable and can withstand extensive wear and tear. We offer a huge inventory of high-quality products, so that our clients can accommodate any number of guests at their events. We have years of valuable experience in servicing all types and sizes of outdoor events. We employ trained professionals to help you choose the right product for your needs and to then rent those products easily and efficiently. We offer super competitive pricing to ensure that our clients and customers always get the best value for their money. We focus on and serve various industries, including emergency management, construction, and urban event planning.